These crispy roasted chickpeas are tossed in a brown-sugar chili powder mixture for the perfect (healthy) salty-sweet snack! Well hello, November. I didn’t even see you coming. And of course the first thing you have in store for us? Snow. Thank-you for so clearly announcing the end of Halloween and the start of Christmas everything. While it was kind of nice to watch the big fluffy snowflakes fall, I’m not really excited for winter. Although I am very much looking forward to being done writing my thesis. Gettingveryclose. I am trying desperately to stay away from the Halloween candy, and I just need to have a healthy snack on hand. And these crispy roasted chickpeas fit the bill! I absolutely love the brown-sugar chili rub that I used on this salmon and these lamb chops…brown sugar and chili powder are a strange but super delicious flavor combination that I just can’t seem to get enough of! So I wanted to see how the rub would work on crispy roasted chickpeas…and I wasn’t disappointed. These guys could’t be any easier to prepare, but I have a few little tips to get the crispiest chickpeas. First of all, you want to dry them as much as possible before roasting them. So: drain the can, rinse under water, then spread out on a clean kitchen towel (got this tip from The Kitchn). Rub them down with a second towel (or paper towel), and then let them sit for about 10 minutes. Next: roast ’em up. Give the pan a shake a few times to mix them up. I really wasn’t roasting my chickpeas long enough before…they looked done but they were still chewy. So I recommend roasting them for a total time of 45-55 minutes…you want them nice and crispy! For this recipe, I pulled them back out of the oven after 45 minutes of roasting, then tossed them with the brown sugar/chili rub, and returned to the oven for another 5-10 minutes. They were the perfect healthy crunchy thesis-writing snack! I’d love to know what your favorite healthy snack is! I bet these crispy roasted chickpeas would be awesome with this homemade Moroccan spice blend! Crispy roasted chickpeas tossed in a sweet and salty brown sugar-chili spice mix. Perfect for a healthy snack. Spread chickpeas out on a paper towel (or clean dish towel)-lined cutting board. Gently rub with another towel until mostly dried. Allow to sit for an additional 10 minutes. Toss chickpeas in a large bowl with 1 tablespoon olive oil. Spread chickpeas out on a parchment-lined cookie sheet. Give the pan a shake, and return to the oven for another 15 minutes. At this point, mix together the brown sugar, chili powder, ground cumin, pepper, and salt in a large bowl with the remaining 1 teaspoon olive oil. Toss the roasted chickpeas in the mixture. Return to the oven for an additional 5-10 minutes, until chickpeas are roasted through and crispy. The chickpeas are crispiest on the first day, but will keep for a day or two in a sealed container. Hi and thanks so much for your comment! Yes, running a blog is a lot of work, in fact it’s my full time job now and I put about 40 hours a week into it. 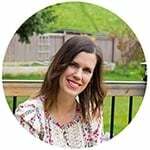 I highly recommend checking out Pinch Of Yum and Food Blogger Pro, they have a ton of resources! They are mostly geared to food blogging but most of the advice is applicable to any niche! Hope this helps and good luck! I love the idea! Do you have any other sugar/spice suggestions? Quick Question: The recipe list calls for cumin and black pepper, but the instructions leave out these two ingredients and instead say to mix in paprika. I’m going to make these tomorrow hopefully and was hoping you could clarify!! Hey Melanie! Sorry about that, yep all the spices get mixed together. I will update, thanks for letting me know! Whoops and no paprika at all. Ack! Snooowww! I have to say I am not sad to be missing out on Calgary snow this winter. But those chickpeas I something I want! I made sweet+spicy cashews recently and I can image the flavor combo being just as amazing on roasted chickpeas. Love roasted chickpeas, Denise, and the brown sugar chili combo sounds fantastic! PS: Can’t believe you’re getting snow! I guess I’m actually lucky we didn’t get snow earlier…we are right by the Rockies and in Canada, so winter always comes early :/ Thanks, Geraldine! Can you believe that I still have yet to try roasted chickpeas?? I don’t even know what I’m waiting for because these seriously look amazing! Sweet ‘n’ spicy is my all-time favorite flavor, so I must try these! You should try them! They totally satisfy my cravings for something crunchy. Thanks, Sarah!